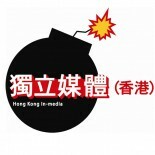 As a key organization coordinating the Rally to Support Edward Snowden in Hong Kong on June 15, 2013, members from Hong Kong In-Media have recently received a large number of phone calls from reporters trying to investigate whether we were in contact with someone who had knowledge of Snowden’s presence in Hong Kong. We want to reiterate that none of our members and volunteers had any knowledge of Mr.Edward Snowden’s whereabouts in Hong Kong. Our source was the media interview that was released by the Guardian, in which Mr.Snowden revealed that he was in Hong Kong and has hopes from the Hong Kong people and the government. In the morning of the video was released, we began discussing our plan to highlight our stance on protection of whistleblowers and show public support for the cause. While, being an organization for advocating independent media, we understand that journalists are trying their hardest to cover all aspects of the story. However, the quest for the story has gone from investigative journalism to concocting & construing facts, a Pro-Beijing newspapers even ran an misleading article implying that Melody Chan, a volunteer at inmediahk.net has involved in persuading Snowden to leave Hong Kong. Despite our outmost co-operation with the media, we found the media probing unnecessarily, based on assumptions & therefore an act of harassment to all of our members and volunteers and demand this be stopped immediately. We would like to reinforce that media — both international & national — must stop the harassment. We will stop replying any inquiry regarding Edward Snowden. At a time reporters are being targeted with vicious smear campaigns and accused of allegedly aiding and abetting a supposed crime, merely because they reported the story, we are very suspicious of how this story is being reported by certain media. The incident of Edward Snowden is an important news about the civil liberty and right to privacy around the world. It is outraging that some professional media organizations divert their focus to conspiracy stories.